Aomori Nebuta Matsuri is the Japanese summer festival. It is celebrated as an important Intangible folk cultural property. The word Nebuta in Aomori Nebuta is in reference to Lantern Float of Warriors which is carried through the city streets followed by dancers. It is the 6 days event where firework show is held on the last day when the floats are carried into the sea. There are usually three types of Floats used in the festival, where children Nebuta and regional Nebuta are sponsored by the local organizations. Children Nebuta is usually carried twice during the festival. 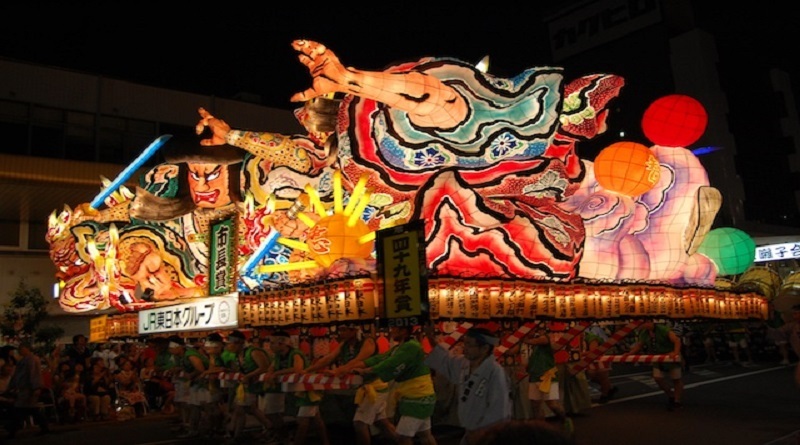 There are individuals who organize the elements of Nebuta like Creation of Floats and Marching of bands. Anyone, even tourists can participate in These Processions and carry out Floats. Participants should make sure that they wear a proper costume to be the part of the event.